Would you BUY or PASS if you had only a thumbnail image and five minutes to decide? The rules are laid out at the end of this post if you fancy having a go. Victorian London: For five years, Charlotte (Charlie) Holloway has lived as a boy in the slums. But when one theft too many gets her arrested, her only means of escape lies with a dead man. Charlie hasn’t raised a spirit since she first discovered she could do so five years ago. That time, her father banished her. This time, she brings even more trouble upon herself. People are now hunting Charlie all over London, but only one man succeeds in capturing her. Lincoln Fitzroy is the mysterious head of a secret organization on the trail of a madman who needs a necromancer to control his newly “made” creatures. There was only one known necromancer in the world – Charlotte – but now there appears to be two. Lincoln captures the wilful Charlie in the hopes the boy will lead him to Charlotte. But what happens when he discovers the boy is in fact the young woman he’s been searching for all along? And will she agree to work for the man who held her against her will, and for an organization she doesn’t trust? Because Lincoln and his ministry might be just as dangerous as the madman they’re hunting. I love the cover, it’s beautifully gothic and drew me in immediately. 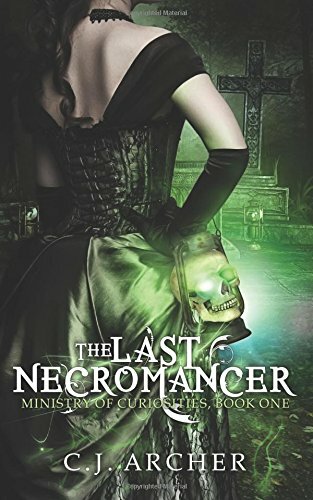 The Last Necromancer is the first in a series so if I like this novel I know there are a couple of others I can read straight away. Having recently read Carol Hedges, Death & Dominion, I am still in Victorian London mode, so the era of this book appeals to me. There are 270 pages, and the Kindle price is £2.99. There are 10 reviews on Amazon.co.uk, all of these are four and five stars, and 67 reviews on Amazon.com, 61% are five stars. I’ve read all of C J Archers books, and this book doesn’t fail on my high expectations of it. Another fantastic gripping story that I found hard to put down. These stories are so easy to read and with a 17-month-old running about I need a bit of escapism, but that’s not too heavy going. You get attached to the characters and I love how you can continue to follow their stories as you follow the series. I also like how characters from other series can show up and be entwined in the current books she writes. All in all I highly recommend reading this book along with all her other stories. The Last Necromancer is my kind of book and I love that it’s an established series. 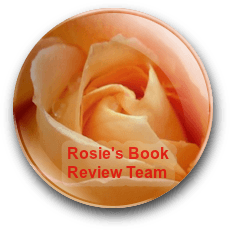 There are plenty of positive reviews about this book and the other titles in C.J. Archer’s vault. It’s a BUY from me. The Last Necromancer – buy your copy. What is the Friday Five Challenge? In today’s online shopping age, readers often base their buying decisions on small postage stamp size book covers (thumb-nails), a quick glance at the book description and the review. How much time do they spend making that buying decision? I loved the Harry Potter Studio Tour too, embarrassed my kids completely. We went a couple of years ago before the Hogwarts Express was there, so I’d love to go again. Anyway back to the book, the emerald green cover is spooky which fits with the story and the girl with the skull lamb is great, love the book description a BUY from me too. I wasn’t allowed to have my photo taken on a broomstick, I was very sad about that. Not really into fantasy and magic, it has to be of the standard of Harry Potter to attract me, to be honest. This does look great, though, and the cover’s wonderful! I am so jealous about the Harry Potter tour!!!! I’d LOVE to Please please do a blog with pictures!!! I love the sound of the Harry Potter tour! Perhaps when my grandson is a little older it will be a good excuse for me to go 😉 Love the book cover and description. A Buy from me. We took our daughter to the Harry Potter tour when she was going through a Harry Potter phase. I’m not a Harry Potter fan but I really enjoyed it – so interesting. Not really my kind of book so a pass from me but I do think it’s a great cover. That’s what I liked about it too, Alison. It’s a film set so even non-HP fans will find something to fascinate them. Love this cover and I’m interested enough to take a further look so I think a buy from me. Our house has been nuts on HP for years but we’ve never made the tour – I think I’d be slightly disappointed that I couldn’t actually fly on the broomstick. Not really my kind of book – but I’d love to see a blog post of the Harry Potter tour. The Victorian setting and intriguing plot make this very tempting. could be a buy for me too. Necromancer? Oh, yeah! As usual, my taste runs right along with yours, Shelley. It would be a buy for me too.